he simultaneous 5-axis technology thanks to the swiveling head provides movement for reduced set-up times and high-precise complex machining. The MAZAK NC-Rotary table makes available full simultaneous 5-axis machining for further enhanced productivity. The MAZATROL SmoothX programming language presents all of critical machine data within a simple page view on display. It guarantees high quality machining reducing errors and collisions. 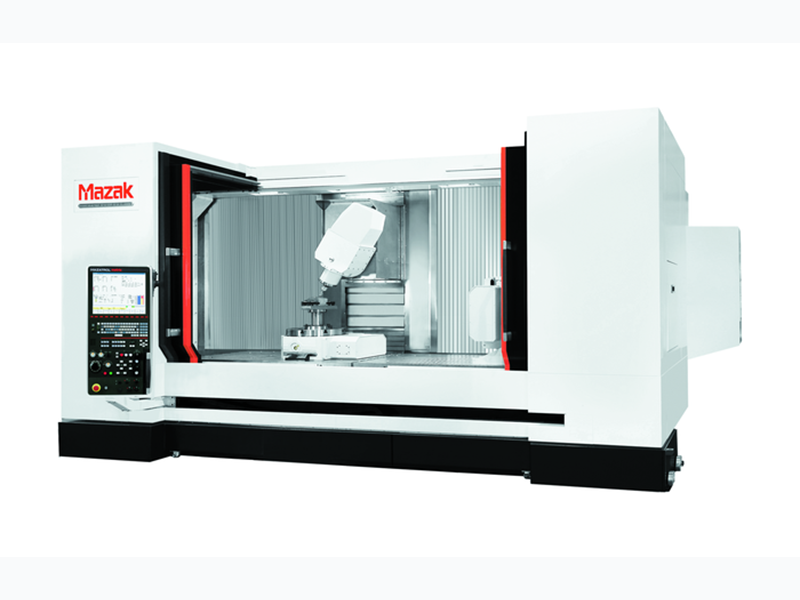 This high performing machine and its technological software ensure high-accuracy machining.